I love this LO of my beautiful niece Felicity. She is growing up so fast. The DSP Berry Blossoms has lovely vibrant colors which complement this photo. 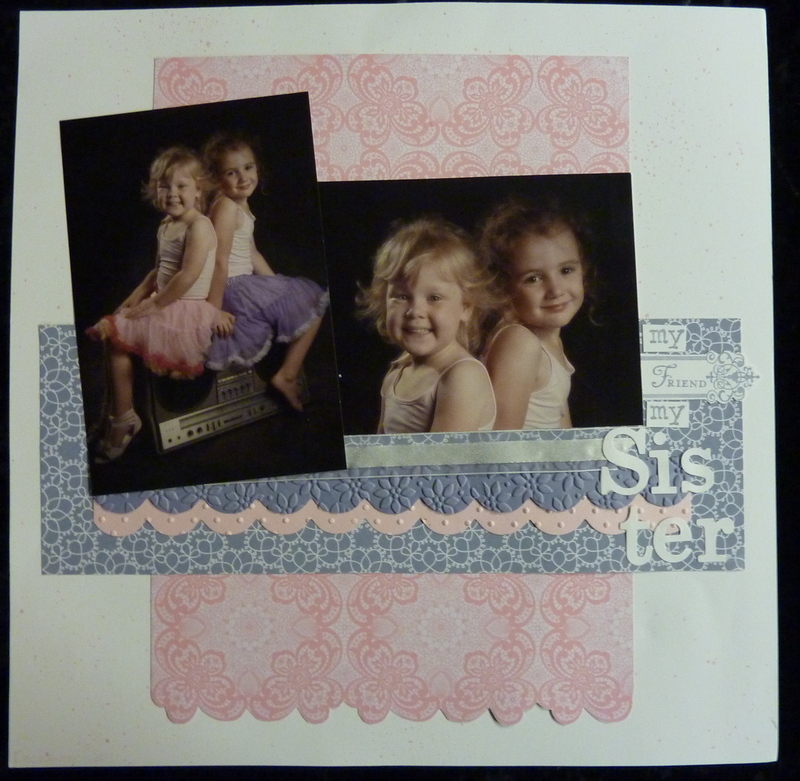 I stamped with the Creative Element stamp set in White Craft Ink on the Wisteria Wonder card stock for the background. The Broadsheet Alphabet fits perfectly in the new stamp punch. Once again I don’t think the photograph does justice to the true life colors. 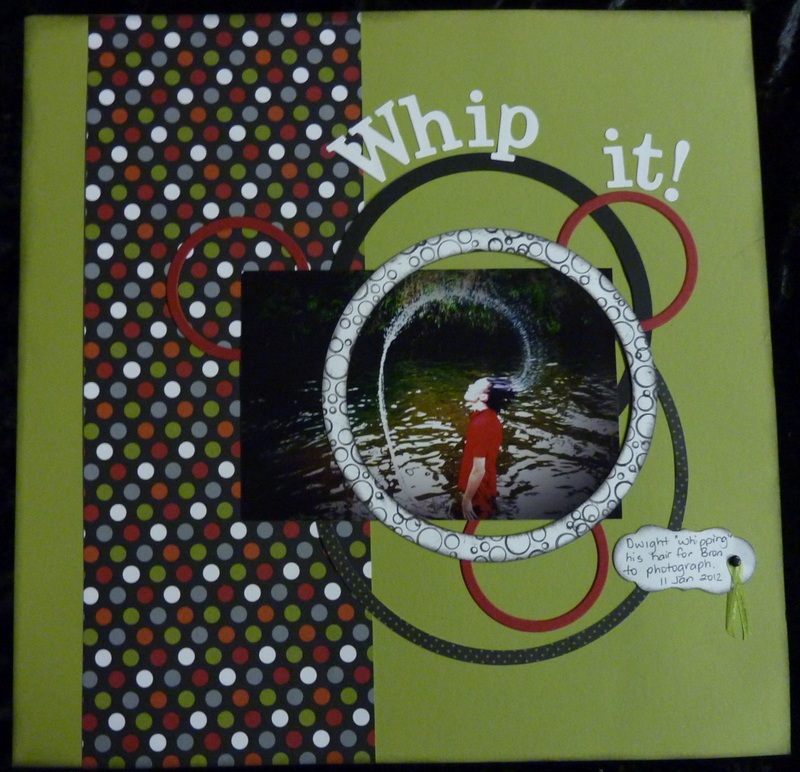 This LO is of my son Dwight – I love the picture as it has caught the whip of his hair so well. I used the DSP Frightful Sight – the colors in this pack are great for masculine LOs. 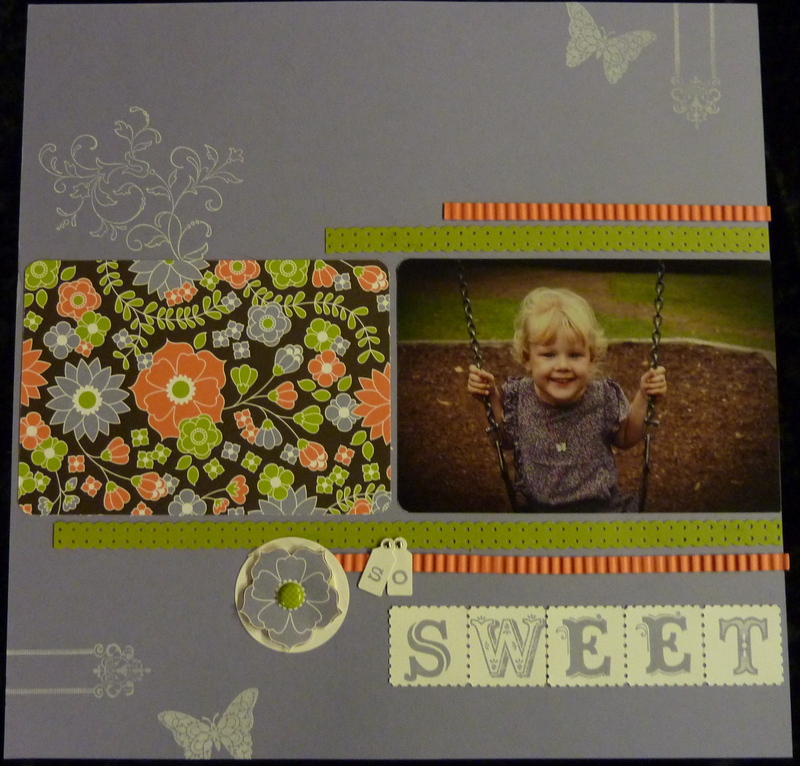 The Circle Scissor makes it easy to cut the round elements, and Circle Circus stamp set adds some pattern to the white circle frame. I don’t think the photo does this LO justice as the colors are quite stunning in Real Life.